Last month, troubling news emerged from U.S. Strategic Command that two of those aircraft, also known as E-4B National Airborne Operations Centers, were temporarily disabled by a tornado, leaving only two of them operational. And that, not surprisingly, caught my attention. Maybe you don’t have the world’s end on your mind, not with Donald Trump’s tweets coming fast and furious, but I do. It’s a kind of occupational hazard for me. As a young officer in the U.S. Air Force in the waning years of the Cold War, the end of the world was very much on my mind. So think of this piece as the manifestation of a disturbing and recurring memory. The E-4B and its crew of up to 112 stand ready, as STRATCOM puts it, to enable America’s leaders to “employ” its “global strike forces” because… well, “peace is our profession.” Yes, STRATCOM still references that old SAC motto from the glory days of former Strategic Air Commander Curtis LeMay who was so memorably satirized by director Stanley Kubrick in his nuclear disaster film, Dr. Strangelove. The Pentagon reassuringly noted that, despite those two disabled planes, the E-4B’s mission — including perhaps the implementation of a devastating nuclear strike or counter-strike that might kill tens of millions and even cause a “nuclear winter” — could be accomplished with just two of them operational. Still, relieved as I was to hear that, it did get me thinking about the other 190 or so nations on this planet. Do any of them have even one “doomsday” plane to launch? And if not, how will they coordinate, no less survive, the doomsday the U.S. government is so willing to contemplate and ready to fund? 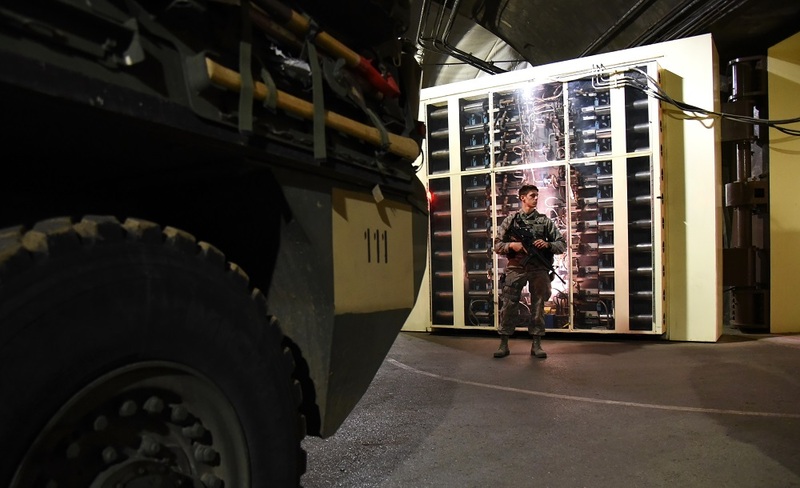 When it comes to nuclear weapons and what once was called “thinking about the unthinkable,” no other nation has as varied, accurate, powerful, deadly or “survivable” an arsenal as the United States. Put bluntly, the nation that is most capable of inflicting a genuine doomsday scenario on the world is also the one best prepared to ride out such an event — whatever that may turn out to mean. In this sense, America truly is the exceptional nation on planet Earth. It’s exceptional in the combination of its triad of nuclear weapons, its holy trinity of sorts — nuclear missile-carrying Trident submarines, land-based intercontinental ballistic missiles, and strategic bombers still flown by pilots — in the thoroughness of its Armageddon plans, and especially in the propagation of a lockdown, shelter-in-place mentality that fits such thinking to a T.
I can still remember military exercises in which the mountain would be “buttoned up.” That meant the command center’s huge blast doors — think of bank vault doors on steroids — would be swung shut, isolating the post from the outside world. I don’t recall hearing the word “lockdown” in those days, perhaps because back then it was a term generally applied to prisons, but that was certainly our reality. We sheltered in place in that mountain redoubt, the most literal possible version of a Fortress USA. We were then cut off — we hoped — from the titanic blasts and radioactive fallout that would accompany any nuclear attack, most likely by that Evil Empire, the Soviet Union. In a sense, we were a version of a doomsday plane, even if our mountain couldn’t be sent aloft. My tour of duty lasted three years (1985-1988), the specifics of which I’ve mostly forgotten. But what you don’t forget — believe me, you can’t — is the odd feeling of having 2,000 feet of granite towering over you; of seeing buildings mounted on huge springs intended to dampen the shock and swaying caused by a nuclear detonation; of looking at those huge blast doors that cut you and the command center off from the rest of humanity, theoretically allowing us the option both of orchestrating and surviving doomsday. I sometimes think the decision in the 1960s to bury a command center for nuclear war under megatons of solid granite was America’s original lockdown moment. Then I remember the craze for building small, personal, backyard bomb shelters in the 1950s. There was a memorable Twilight Zone episode from 1961 in which neighbors fight bitterly over who will take refuge in just such a shelter as the threat of nuclear war looms. Indeed, the idea of a mountain of a bomb shelter to keep out nuclear war was no more anomalous in those years than Donald Trump’s “big, fat, beautiful wall” to keep out Mexicans is today. Both capture a certain era of fear, whether of exploding nukes or rampaging immigrants, and an approach to that fear — controlling it by locking it out and us in — that was folly then and is folly now. For soon after Cheyenne Mountain was completed, the Soviets developed improved missiles sufficiently accurate and powerful to obliterate the command center. Assuming Trump’s dream wall was ever completed, immigrants would assuredly develop the means to subvert its intent as well. But no matter. 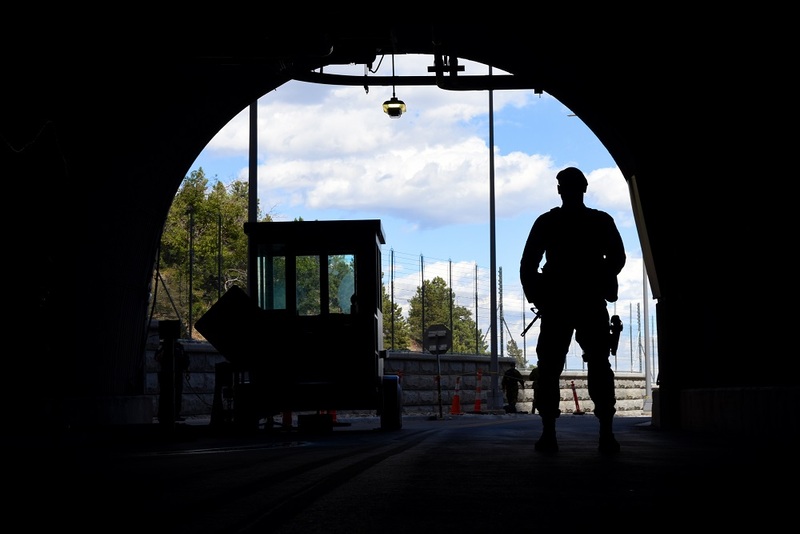 Cheyenne Mountain became a symbol of American resolve as well as fear, the ultimate shelter, just as Trump’s wall has become a symbol of a different sort of resolve and fear. 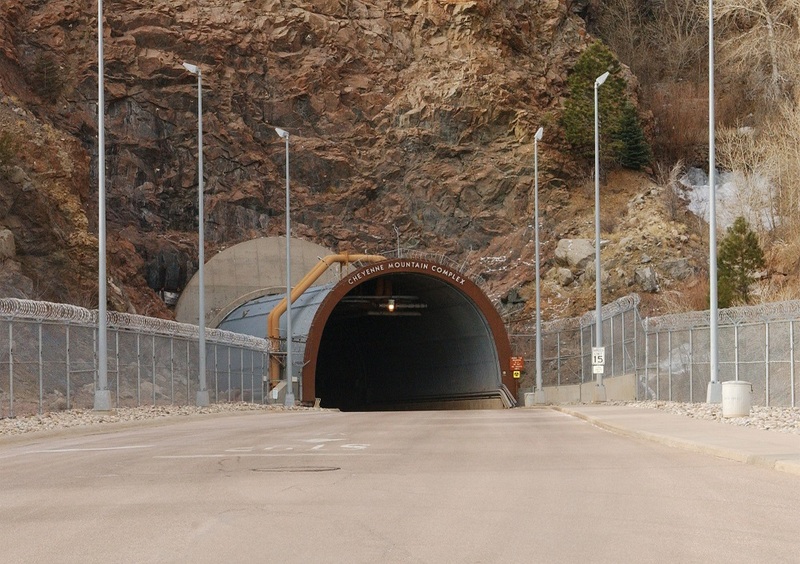 Eventually decommissioned, Cheyenne Mountain lives on as a manifestation of an American bunker mentality in the age of doomsday that’s suddenly back in vogue. Or rather what’s in vogue now is not the militarized mountain I remember, which was dark, dank and depressing, or those crude, tiny, private backyard nuclear shelters of the 1950s, but a craze that fits a one-percent era with a bizarre billionaire as president. A new urge is growing among the ultra-wealthy for what are, in essence, privatized mini-Cheyenne Mountains for the super-rich. Think billionaire bunkers with all the perks of “home,” including a pet kennel, a gun safe and a small gym, as well as “12-and-a-half-foot ceilings, sumptuous black leather couches, wall art featuring cheerful Parisian street scenes, towering faux ferns and plush carpets.” Surviving doomsday never looked so good. And who can blame the richest among us for planning to outlast doomsday or a Trumpocalypse in the style to which they are already accustomed? With the world’s “doomsday clock” ticking ever closer to midnight, seeking shelter from the storm has a certain logic to it. If it’s not full-scale nuclear war that beckons, then perhaps major climate catastrophe and social collapse. As Naomi Klein recently put it at The Intercept, “high-end survivalists” from Silicon Valley to Wall Street are “buying space in custom-built underground bunkers in Kansas — protected by heavily armed mercenaries — and building escape homes on high ground in New Zealand.” I don’t normally pity the Kiwis, but I will if legions of doomsday-fleeing uber-rich start hunkering down there like so many jealous dragons guarding what’s left of their gold. Consider the words of retired Gen. John Kelly, the head of that department, who recently suggested that if Americans knew what he knew about the nasty terror threats facing this country, they’d “never leave the house.” Kelly, a big bad Marine, is a man who — one would think — does not frighten easily. It’s unclear, however, whether he considers it best for us to “shelter in place” just for now, until he sends the all-clear signal, or for all eternity. I have a few questions for Gen. Kelly: Is closing our personal blast doors the answer to keeping our enemies and especially our fears at bay? What does security really mean? With respect to nuclear Armageddon, should the rich among us indeed start building personal bomb shelters again, while our government continues to perfect our nuclear arsenal by endlessly updating and “modernizing” it? Or should we work toward locking down and in the end eliminating our doomsday weaponry? With respect to both terrorism and immigration, should we really hunker down in Homeland U.S.A., slamming shut our Trumpian blast door with Mexico — actually long under construction — and our immigration system, or should we be working to reduce the tensions of poverty and violence that generate both desperate immigrants and terrorist acts? Amazingly, Barack Obama, the president who made high-minded pleas to put an end to nuclear weapons — pleas supported by hard-headed realists like former Secretaries of State Henry Kissinger and George Shultz — gave his approval to a trillion-dollar renovation of America’s nuclear triad before leaving office. That military-industrial boondoggle will now be carried forward by the Trump administration. Though revealing complete ignorance about America’s nuclear triad during the 2016 election campaign, Trump has nevertheless boasted that the U.S. will always be “at the top of the pack” when it comes to doomsday weaponry. And whether with Iran or North Korea, he foolishly favors policies that rattle the nuclear saber. Naturally, the Pentagon claims greater secrecy is needed to protect us against terrorism, but it serves another purpose — shielding incompetence and failing grades. Given the U.S. military’s nightmarish history of major accidents with nuclear weapons, more secrecy and less accountability doesn’t exactly inspire greater confidence. Today, the Cheyenne complex sits deactivated, buried inside its mountain, awaiting fresh purpose. And I have one. Let’s bring our collective fears there, America. Let’s bury them under all that granite. Let’s close the blast doors behind us as we walk out of that dark tunnel toward the light. For sheltering in place shouldn’t be the American way. Nor should we lock ourselves down for life. It would be so much better to lockdown instead what should be truly unthinkable — doomsday itself, the mass murder of ourselves and the destruction of our planet. William Astore is a retired U.S. Air Force lieutenant colonel and history professor. He blogs at Bracing Views. This article originally appeared at TomDispatch.